Triathlon, swim skills, run skills, open water swimming, time-trialing, road bike, injury prevention; Nutrition designed to support health first, then specific training plans and phases. I offer comprehensive, expert, and highly individualized endurance coaching, tailored individually to each athlete. Please see my website for all details and options. My base level fees range from $200 to $500 per month, with many variables coming into play. I will tailor a specifically designed plan for you. I am a USAT Level II Certified Coach, Certified Strength and Conditioning Specialist (CSCS), and an experienced triathlete now in my 13th season. 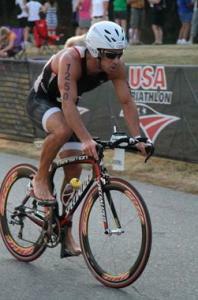 I have been coaching endurance athletes for many years, with many excellent results. I have coached beginners to their first 70.3 and Ironman finishes, and more experienced athletes to PR's, podium finishes, and National Championship level performances! As a coach, I constantly educate myself on both the basic art and science of endurance sports, as well as the individuals I coach. I go above and beyond what is required of a USAT Certified Coach in terms of continuing education. Why? Because I absolutely love this field and this sport! I have learned through years of experience and education that there is no one "right way" to approach training for all athletes. There are many approaches that can work and there are big differences from one athlete to the next. In my opinion, this is one of THE keys to being an effective coach. Success. Coach Bill Gleason has been notified of your message.